Thanks for your mothering support yesterday. I was really happy that you enjoyed the scissor stamp as much as I did! I've been printing on everything in sight. 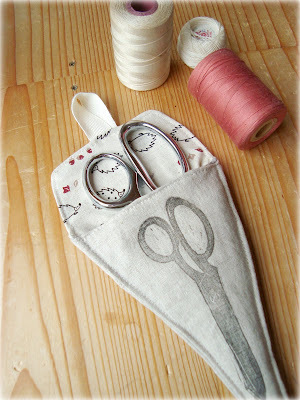 I even had to make a scissor pouch (linen with Japanese hedgehog lining), just so that I could stamp it! I'm thinking of doing an entire series on the tools I use most. Which led me to my next image instantly: the humble clothespin. Aw, Maya, what can I say ?! I simply adore the new stamps you have carved & all the very lovely & brilliant things you stamped them on !! Can't wait to see new things in the shop but do take your time, my own shop is just as quiet ! Hey, it's still summer !! Love the stamps! Too cute! I am in love with the scissors, but I am super-fantastically-over-the-top in love with the clothespins. Just darling. 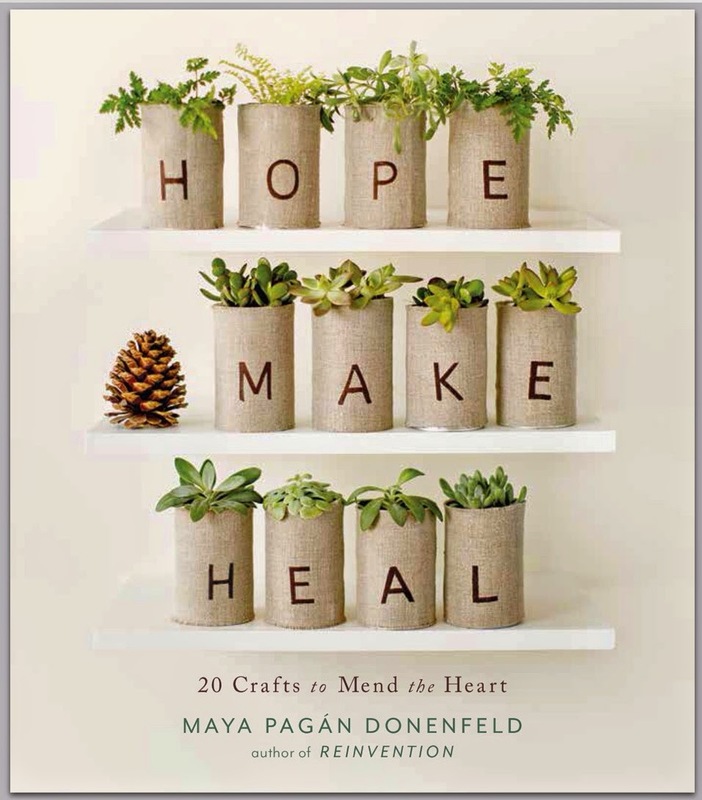 Maya, I'm so impressed with how beautifully your projects turn out! Who would've thought to carve out a scissor stamp? And then all of the lovely prints you made with it...wonderful. 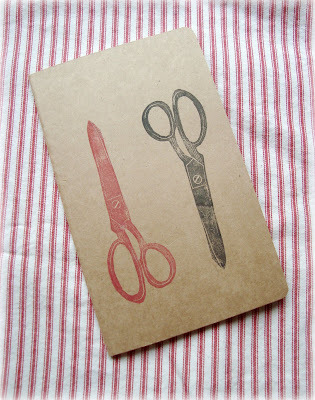 Love the scissor stamps so much--so creative! ahhh. must. resist. urge to buy stamp making materials when i already have closets full of art supplies!!!! so lovely. I too like your new stamps. I don't know if it is the simplicity of your images or the fabric you stamp them on but they evoke a feeling of such calm. Just beautiful. I thought the scissors were great...then came the clothespins! So many great creations! We've been doing a bit of stamping over at our place too - faces and my wood floors! I love the scissors and clothespins. They're great. 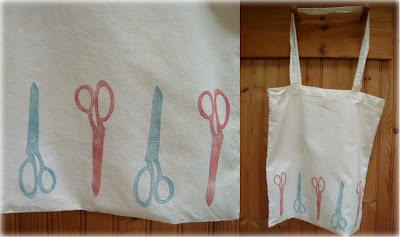 I love that scissor stamp! 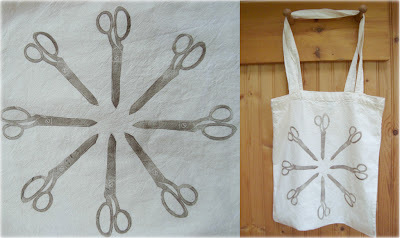 What type of ink do you use to stamp on fabric? Karin- I use versacraft stamp for fabric and colorbox pigment stamp pads for paper. SO adorable Maya! I love how you see the beauty in humble, everyday objects. Happy weekend my friend! How about a scalpel and speculum !! Oh my! I love the stamps...especially the clothespin. Just fabulous! 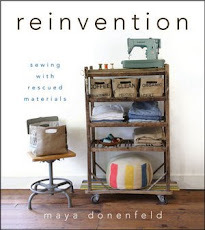 to return to crafting and sewing. 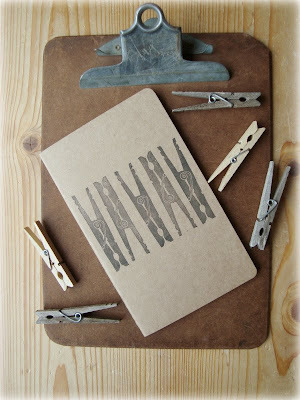 Clothespins as stamps. I would have never thought about it, but think it's great!